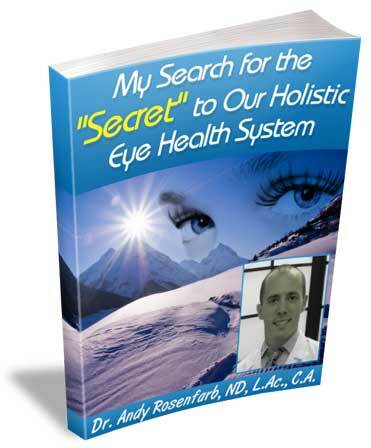 Dr. Andy Rosenfarb has been treating degenerative eye disorders since 1997, using an integrated approach that combines Traditional Chinese Medicine, Naturopathic Medicine and new cutting-edge therapies to improve vision and maintain eyesight for patients worldwide who suffer from blinding eye diseases. His individualized treatment protocol combines the latest advances in micro acupuncture, acu-laser therapy, electro-acupuncture and auricular acupuncture with functional medicine (medical history, blood and diet analysis, lifestyle and nutritional counseling) to address underlying conditions and promote whole-body health. For detailed information on his Treatment Program, CLICK HERE. Based on the success of their pilot study, our research team has received a grant from the National Eye Institute, National Institutes of Health, to support further research on acupuncture treatment for Retinitis Pigmentosa (RP). The RP Study, which kicked off in the Spring of 2014 , will be done through Nova Southeastern University in Ft. Lauderdale, Florida and led by Dr. Ava Bittner. To learn more, CLICK HERE. Change your life right now! Get this FREE ebook by filling out the form below and it will automatically be emailed to you within 10 minutes!